Additional Description: Left photo: George Washington, in the Court of Honor, watches over the library from his vantage point in the center of this photo. The totem pole, on the left, moved with the Public Museum when it relocated to new quarters in the mid 1960s. 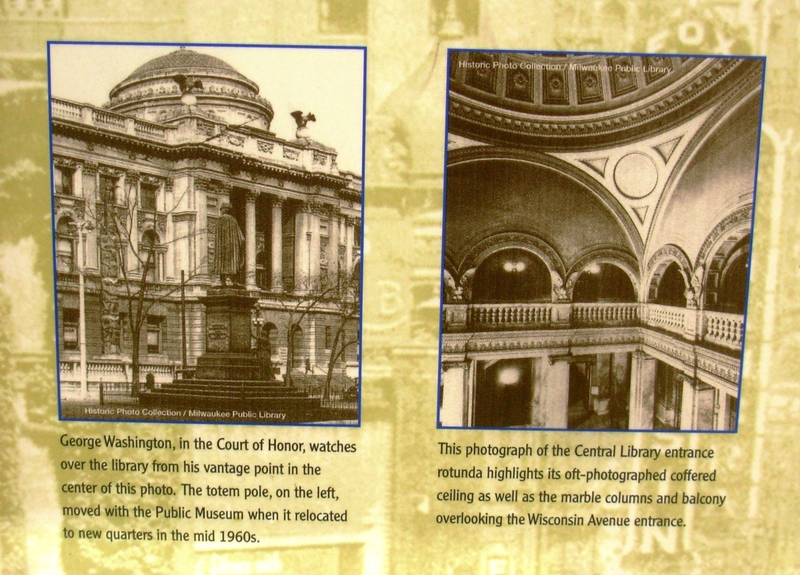 Right Photo: This photo of the Central Library entrance rotunda highlights its oft-photographed coffered ceiling as well as the marble columns and balcony overlooking the Wisconsin Avenue entrance.